Princess doll with rubber face. Her torso and arms are made from hard plastic. A paper cone forms the structure for her white ruffled skirt. She is wearing a beautiful red velvet coat that is trimmed with gold. Her hat is cone-shaped with fur trim. A string of white beads is connected to the hat and fall below her chin. She has long silver earrings. 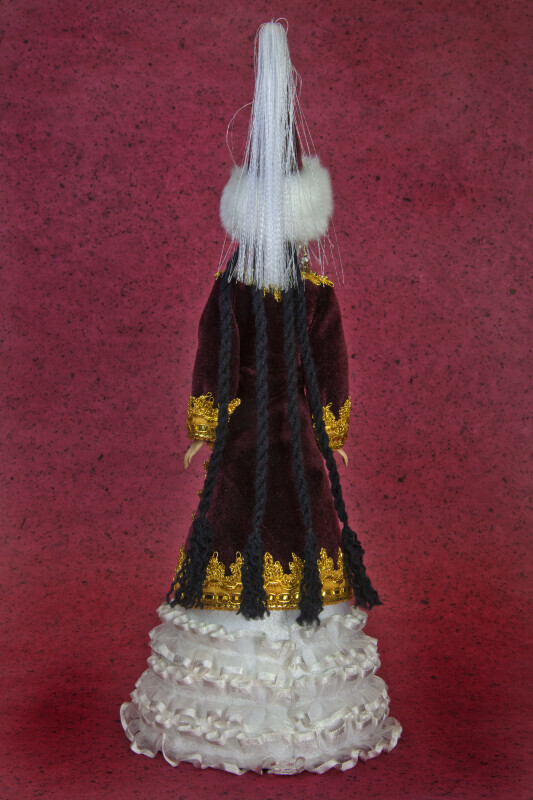 The figure stands 11 (28 cm) inches tall.